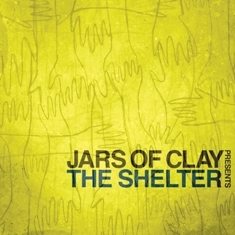 In Brief: Better than most “worship albums” on the market these days, but not as good as anyof Jars of Clay’s previous albums. 3.5 stars. Some interesting themes pop up on this mix I made in the spring of 2007. A few are intentional, just due to how well certain songs fit together: Sleeping and dreaming. Travel and transportation. Retreating to quiet, natural places. Other themes might not have been intentional at the time, but are interesting upon looking back at them now: How people deal with loneliness. Wondering if your life has a clear, God-ordained purpose. Gender roles and sexism. What it means to show empathy, and when to cut fake friends loose. Some heavy stuff here, particularly in the back half, which is interesting because I was relatively happy at this point in my life. Turmoil finally gave way to a sense of peace and hope for the future as 2005 drew to a close. An important event in our lives toward the end of that year was the marriage of our longtime friends Danny and Cheryl, which followed about four months after our own wedding. Somewhere right around then was when it felt like we got to resume the “honeymoon phase” of our own marriage after a difficult few months had sort of temporarily knocked me out of it. A rainy winter brought us an incredibly green and flowery spring. Having finally been nudged into the age of digital photography, my newfound obsession was to document every scenic angle of every hike and road trip that Christine and I went on. This brought a lot of excitement and newness back to some places that I had been before and had previously considered old and familiar. I think I thrive most in life when it feels like there are tons of new discoveries waiting for me just around the corner, even if they’re things I previously missed in places I thought I had already explored. This soundtrack for the winter of 2005 is filled with songs of anticipation, but many of them also express a desire for change. I was preparing for my life to become radically different as Christine and I planned our wedding. I had to ask myself who I was now, what I wanted to be, and what things were standing in the way of that transformation. I wanted to start married life knowing that the process would make me a better man. Listening to these songs brings to mind a lot of urban imagery. With Christine working a lot of nights at the AMC movie theater near her apartment in Montebello and a lot of time spent planning our upcoming wedding, we didn’t get out as much, so when we had free time, it was often spent with ridiculously sized buckets of popcorn and soda that she scored us for free, planted in front of a huge screen, watching a movie that she also scored us for free, which we were glad we didn’t have to pay to rent. Here is where the dream that got deferred finally started to come true. This was the season when I made the transition from introducing Christine as “my girlfriend” to introducing her as “my fiancé”. It’s hard to enumerate all of the thoughts that went through my head as I prepared to take this great leap forward… but hesitance was no longer one of them.